In order to add an image, just hit the "Add Content Block" in the editor and select Photo. 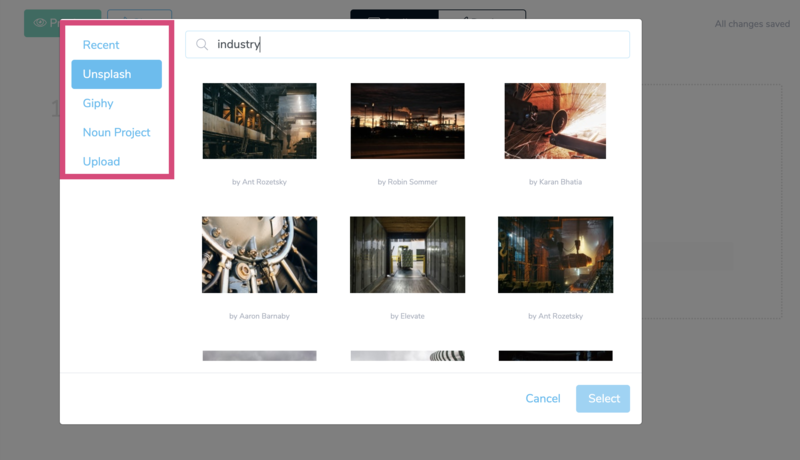 In the pop-up window that shows up, you'll be presented with a built-in gallery of professional images and icons for you to choose. Just use keywords to browse. On the left side of this window, you are able to also browse for Icons, Gifs and also upload your own images. 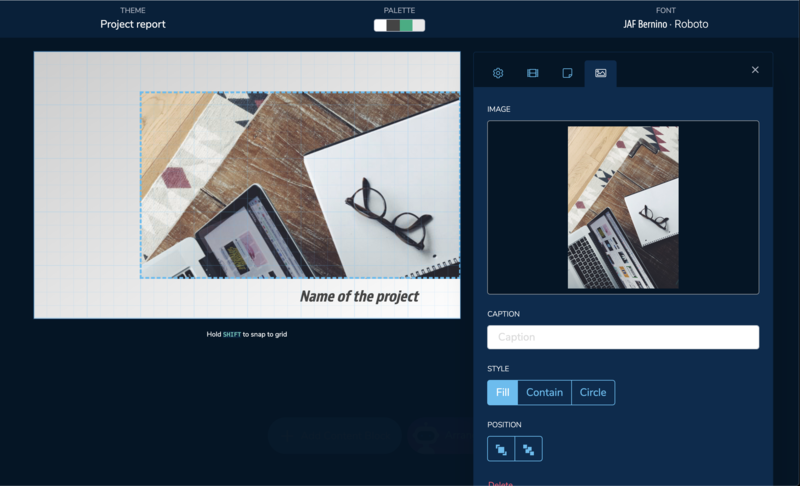 After adding the image, in the Design editor you can manually drag it in order to reposition it or extend its size.